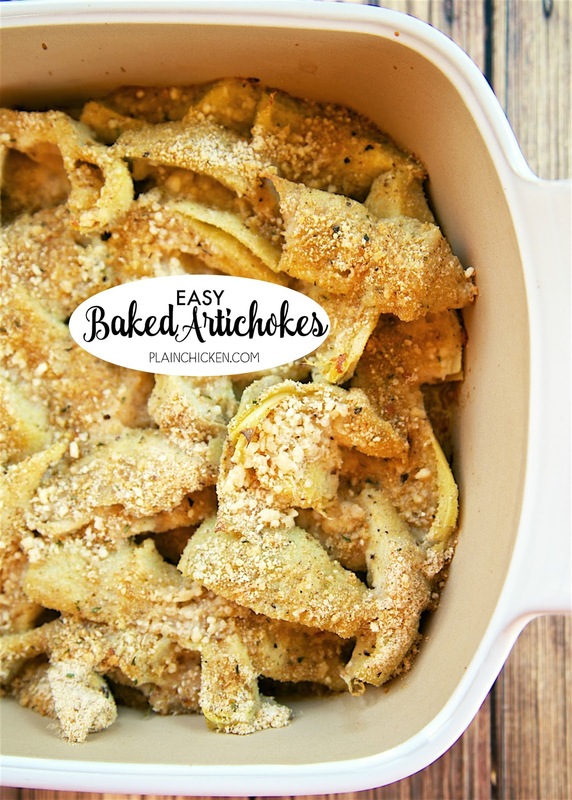 Easy Baked Artichokes - SO good and SOOO easy!!! All the flavors of stuffed artichokes without all the work. 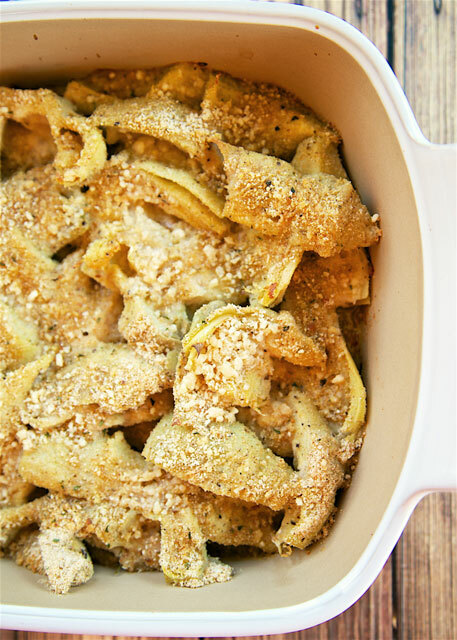 Canned artichokes, olive oil, garlic, bread crumbs and parmesan cheese. Only takes a minute to make! Great with steak, chicken pork and even pasta! LOVE quick and easy side dish recipes! 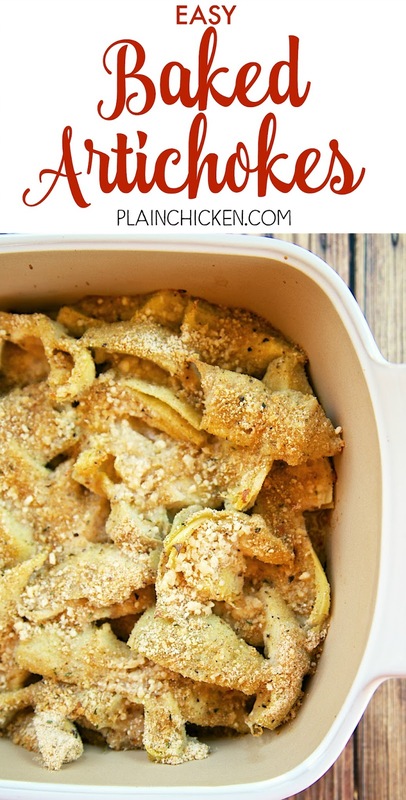 These Easy Baked Artichokes are a simple twist on stuffed artichokes without all the work! 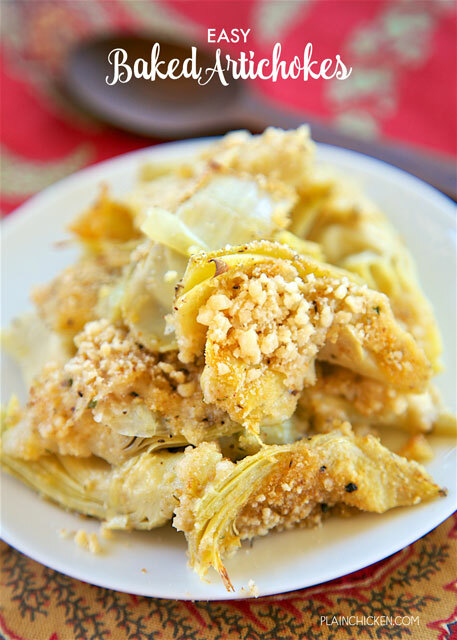 Instead of using whole artichokes, I used a couple of cans of chopped artichoke hearts. This only took a minute to assemble. Basically dump everything into the dish and bake. SO easy! 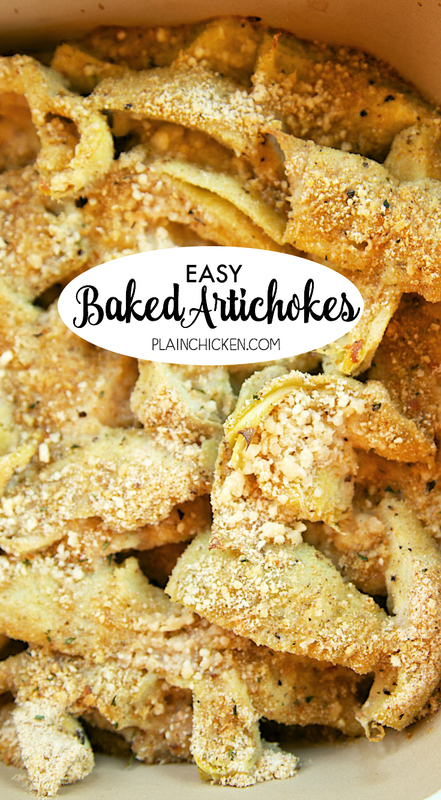 The best part is that these Easy Baked Artichokes tasted fantastic! This would be great with steaks, chicken or pork. It would also be a great side dish for pasta. Preheat oven to 375ºF. Spray a 9x9-inch pan with cooking spray. Pour artichoke hearts into prepared pan. Drizzle artichokes with olive oil. 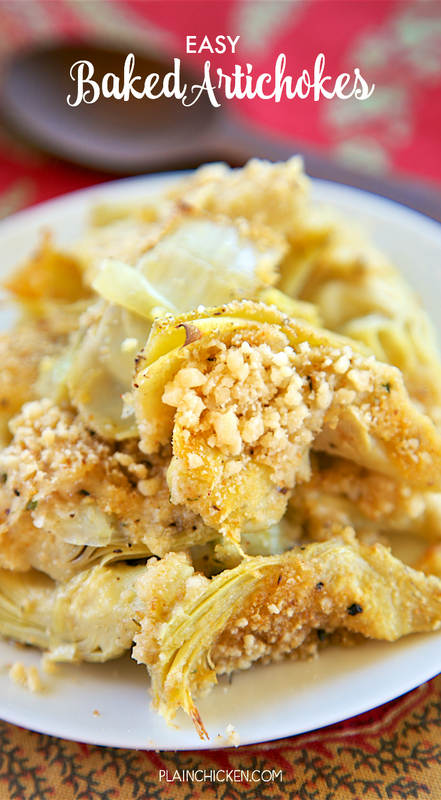 Sprinkle garlic powder, salt and pepper over artichokes. 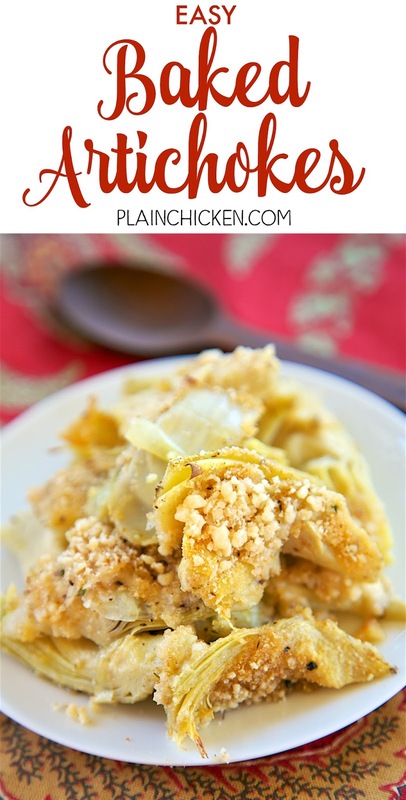 Top with bread crumbs and parmesan cheese. Bake uncovered for 20 to 25 minutes, until golden. This sounds so good! Pinning and will make! Great with French Fried Onions if you are out of bread crumbs. Brilliant!! Definitely going to try this next time. Making this for about the 8th time! Love this recipe! Woohoo! So glad you are enjoying the artichokes!! Made these last night,there were 3 left.I will make these again.